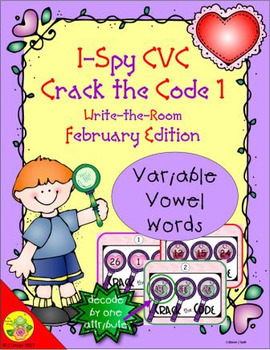 The focus of this set is on mixed CVC words for all five vowels. 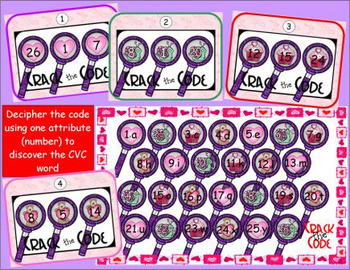 Included are four sets of ten objects which help young learners to use simple logic skills to decipher (by one attribute — numbers) encoded CVC words. A Valentine theme is used. 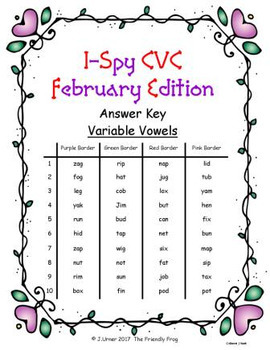 Select the encrypted card set you wish to have your students practice. Laminate, cut out and post at various locations around the room. You will also need to print & laminate a decoding card next to each encrypted card. Alternatively, the cards may be placed into a container for use at a learning center. 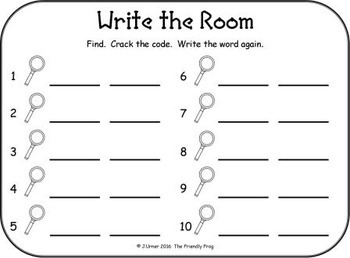 The student will search the room for the words and record. Read the words to the teacher or a friend when the page is complete.